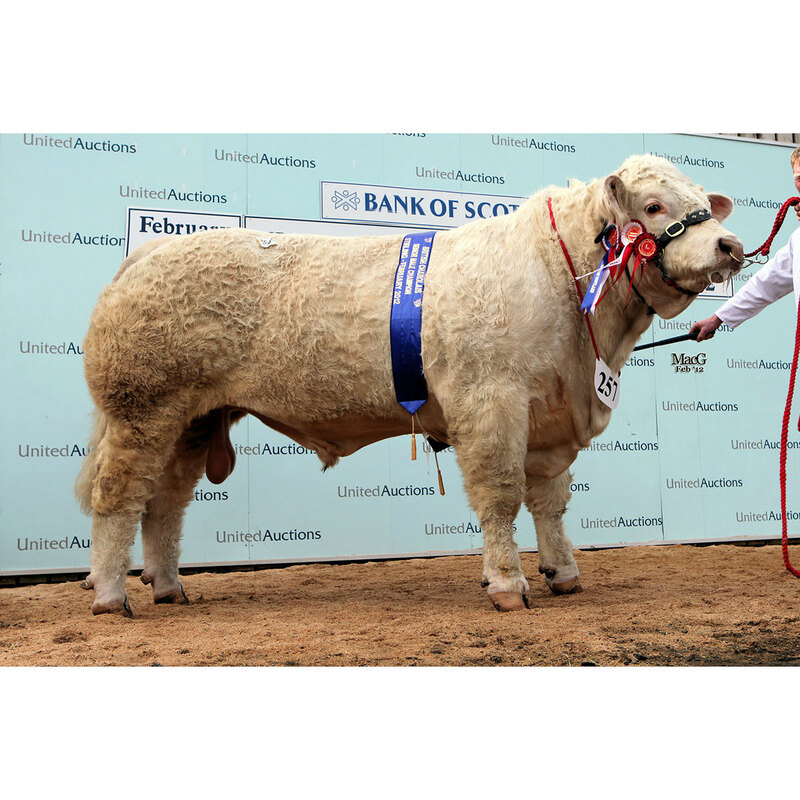 Senior Champion Stirling February 2012 and bought jointly by Balmyle, Newhouse, and Balthayock for 22,000 guineas. He has already sired the very successful herd sire Balthayock Imp whose two bulls sold at the 2018 Stirling February sale to average 16,500 guineas. Both bulls went to pedigree herds.